Kel-West Society of Taekwon-Do and Hapkido is the Okanagan's longest serving Taekwon-Do and Hapkido institution, now in our 23rd year of operation. Teaching GTF style Taekwon-Do and World Hapkido in West Kelowna,, we have introduced the martial arts to well over 1,000 students. Classes for Men, Women, and Children, of all ages and levels. New students welcome ! No experience required. Classes held every Monday and Thursday night, from 7:30 to 8:30 pm. year round. Would you like more information on hours, classes and programs available at Kel-West Society of Martial Arts? Please contact the school with your questions. Update the details, Write a Review or Report Error of Kel-West Society of Martial Arts. This Chart shows the Martial Arts Styles offered most in West Kelowna, Canada area. 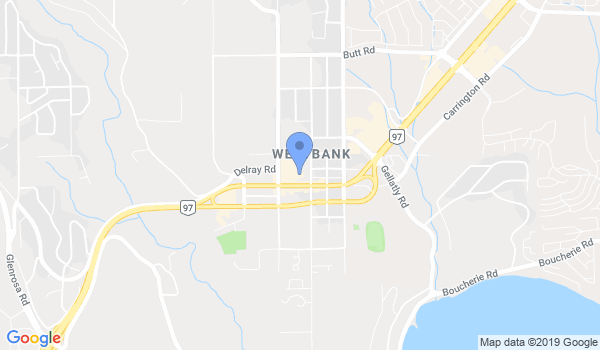 View a list of Dojo in West Kelowna, or enter your address below to find schools closest to you.